Alex and Pete the cat live in a new housing estate and Alex is feeling lonely. When a new boy moves in things look up. But the new boy is not very friendly, then fires start around the area and Pete the cat decides to investigate what is going on. 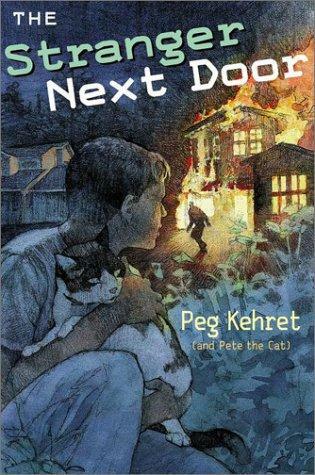 It was pretty good, even though Pete the cat can’t talk but is still clever enough to solve mysteries. Rye with his friend Sonia enter the silver door to try and rescue his brother Sholto. They encounter birdlike creatures that try to kill them and strange guards that attack them. Rye has some magical powers that he uses to escape from all these situations. It’s a good book! I love fantasy. I think this is much better than the other books she’s written and I can’t wait for the third book in this series to be released in October. Secret Seven mystery by Enid Blyton - reviewed by Alex G.
There is a report in the newspaper about a girl that has gone missing. The Secret Seven decide they will investigate her disappearance, because they love mysteries. They split up and try to find as many clues as possible. They come back and discuss what they find and solve the mystery. I didn’t think that the story was that good – it was actually a bit boring. It wasn’t very exciting. It has mystery, adventure and a problem - all of my favourite things. Danny lives alone with his father, his mother died when he was 4 months old. He works in a petrol station wht his dad and lives in a cabin on land owned by a horrible man called Mr William Hazell. Mr Hazell threatens Danny when he is working at the petrol station for no reason. Danny and his dad start poaching pheasants on Mr Hazell’s land, so he can’t shoot at them with his hunting party. I really like this book, and Roald Dahl. Dragon’s nest (Deltora Quest 3, bk. 1) by Emily Rodda - reviewed by Alex W.
The Shadowlord has been banished but famine is still plaguing the land because of the 4 Sisters (death seeds). Leif, Barda and Jasmine are still on their journey. As they go through an orchard they steal some forbidden fruit and become paralysed and are attacked. I like this series and I think it is very interesting.